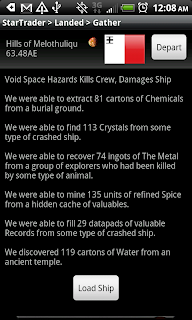 "Star Traders RPG" is a FREE Version -- play as much as you want before you go Elite. E-Mail us if you need help! Experience the Elite Upgrade: Epic new content includes 2,000 new Sectors, 200 additional Zones and more than 150 exclusive art files. Take your space based adventures to a huge next galaxy.